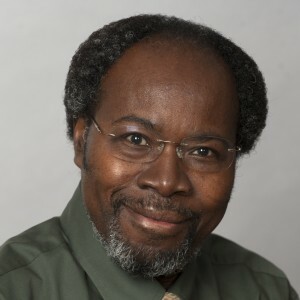 Dr. Buolamwini has held faculty positions in the United States for the past 20 years, including the University of Mississippi and the University of Tennessee, where he served as the Vice Chair and Director of Graduate Programs of the Department of Pharmaceutical Sciences from 2012-2014. Dr. Buolamwini has also trained six PhD scholars and six postdoctoral fellows. Dr. Buolamwini’s research is in the area of drug design and discovery, and experimental therapeutics in several disease areas, primarily heart disease, cancer and HIV/AIDS. He is also an inventor on several patents on novel bioactive molecules. His research has been continuously funded for over 15 years by organizations such as the American Heart Association, the National Heart Lung and Blood Institute, the National Cancer Institute and the National Institute of Allergy and Infectious Diseases. 1. Wang et al., A Novel Pyrido[b]indole MDM2 Inhibitor, SP-141, Exerts Potent Therapeutic Effects in Breast Cancer Models. Nature Commun. (in revision). 6. Chunwan Lu, Di Liu, Jing Jin, Hemantkumar Deokar, Yi Zhang, John K. Buolamwini, Xiaoming Yu, Chunhong Yan,, Xiaoguang Chen* (2013) Inhibition of gastric tumor growth by a novel HSP90 inhibitor. Biochem. Pharmacol. 85, 1246-1256. 7. Chunmei Wang, Luciana P. Schwab, Tiffany N. Seagroves, Meiyun Fan, and John K. Buolamwini* (2013) Chemoprevention Activity of Dipyridamole in the MMTV-PyMT Transgenic Mouse Model of Breast Cancer. Cancer Prev. Res. 6, 437-447. 8. Yang X, Wang W, Qin J, Wang M-H, Sharma H, Buolamwini JK, Wang H, Zhang R. (2012) JKA97, a Novel Benzylidene Analog of Harmine, Exerts Anti-Breast Cancer Effects by Inducing G1 Arrest, Apoptosis, and p53-Independent Up-regulation of p21. PloSOne 7(4):e34303. Epub 2012 Apr 27. 9. Sharma, H., Cheng, X. and Buolamwini*, J. K. (2012) Homology Model-Guided 3D-QSAR Studies of HIV-1 Integrase Inhibitors. Journal of Chemical Information and Modeling 52(2):515-544. 10. Lin, W. and Buolamwini*, J. K. (2011) Design, synthesis and evaluation of 2-diethanolamino-4,8-diheptamethyleneimino-2-(N-aminoethyl-N-ethanolamino)-6-(N,N-diethanolamino)pyrimido[5,4-d]pyrimidine-fluorescein conjugate (8MDP-fluor), as a novel equilibrative nucleoside transporter probe. Bioconjugate Chemistry 22, 1221-1227. 11. Sharma, H., Patil, S., Sanchez, T. W., Neamati, N., Schinazi, R. F. and Buolamwini*, J. K. (2011) Synthesis, Biological Evaluation and 3D-QSAR Studies of 3-Keto Salicylic Acid Chalcones and Related Amides as Novel HIV-1 Integrase Inhibitors. Bioorg. Med. Chem. 19, 2030-2045. 12. Wang, H., Ma, X., Ren, S., Buolamwini, J. K., Yan, C. (2011) A Small-molecule Inhibitor of MDMX Activates p53 and Induces Apoptosis in Cancer Cells. Mol. Cancer Ther. 10, 69-79. 13. Passer, B. J., Cheema, T., Zhou, B., Wakimoto, H., Zaupa, C., Wu, S., Wu, C.-l., Noah, J., Li, Q., Buolamwini, J. K., Yen, Y., Rabkin, S. D. and Martuza, R. L. (2010). A chemical library screen identifies the ENT1 antagonists dipyridamole and dilazep as amplifiers of oncolytic herpes simplex-1 virus replication. Cancer Res. 70, 3890-3895. 14. Wang, C., Pimple, S. R., Buolamwini*, J. K. (2010) Interaction of benzopyranone derivatives and related compounds with human concentrative nucleoside transporters 1, 2 and 3 heterologously expressed in porcine PK15 nucleoside transporter deficient cells. Structure-activity relationships and determinants of transporter affinity and selectivity. Biochem. Pharmacol. 79, 307-320. 15. Okamura T, Singh S, Buolamwini J, Haystead TA, Friedman HS, Bigner DD, Ali-Osman F. (2009) Tyrosine phosphorylation of the human glutathione S-transferase p1 by epidermal growth factor receptor. J. Biol. Chem., 284, 16979-16989. 16. Gupte, A. and Buolamwini*, J. K. (2009) Synthesis and Biological Evaluation of Phloridzin Analogs as Human Concentrative Nucleoside Transporter 3 (hCNT3) Inhibitors. Bioorg. Med. Chem. Lett. 19, 917-921. 17. Gupte, A. and Buolamwini*, J. K. (2009) 3D-QSAR studies on S6-(4-nitrobenzyl)mercaptopurine riboside (NBMPR) analogues, inhibitors of human equilibrative nucleoside transporter (hENT1). Bioorg. Med. Chem. Lett. 19, 314-318. 19. Zhu, Z. and Buolamwini*, J. K. (2008) Constrained NBMPR Analogue Synthesis, Pharmacophore Mapping and 3D-QSAR Modeling of Equilibrative Nucleoside Transporter1 (ENT1)Inhibitory Activity. Bioorg. Med.Chem.16, 3848-65. 20. Luo, W., Liu, J., Li, J., Zhang, D., Addo, J. K., Patil, S., Zhang, L., Yu, J., Chen, J., Buolamwini*, J. K. and Huang, C. (2008) Anti-Cancer Effects of JKA97 are Associated with its Induction of Cell Apoptosis via a Bax-Dependent, and p53-Independent Pathway. J. Biol. Chem. 283, 8624-33. 21. Gupte, A. and Buolamwini*, J. K. (2007) Novel C2-Purine Position Analogs of Nitrobenzylmercaptopurine Riboside (NBMPR) as ENT1 Nucleoside Transporter Inhibitors. Bioorg. Med. Chem. 15, 7726-7737. 22. Lin, W. and Buolamwini*, J. K. (2007) Synthesis, Flow Cytometric Evaluation and Identification of Highly Potent Dipyridamole Analogs as Equilibrative Nucleoside Transporter 1 (ENT1) Inhibitors. J. Med. Chem. 50, 3906-3920. 23. Zhu, Z., Hoffman, P. and Buolamwini*, J. K. (2007). Cardioprotective effects of novel tetrahydroisoquinoline analogues of nitrobenzylmercaptopurine riboside in an Isolated Rat Heart Model. Am. J. Physiol. Heart and Circulation 292(6):H2921-H926. 24. Patil, S., Kamath, S., Neamati, N and Buolamwini*, J. K. (2007) Synthesis and Biological Evaluation of Novel 5(H)-Phenanthridin-6-ones, 5(H)-Phenanthridin-6-one Diketoacid and Polycyclic Aromatic Diketoacid Analogs as New HIV-1 Integrase Inhibitors. Bioorg. Med. Chem. 15(3):1212-1228.